The power board for power moves! The short length requested a complete new curve with a longer flat for more stability. The nose is kept low to avoid a too steep and draggy water line. Very short and compact outline for fastest rotation possible. The double concave in the tail area let the board track safely through the chop and the additional side flats provide the necessary sliding abilities. The flat V in the front area still proves to be the best compromise between all the performance aspects. The dome in the deck area around the back footstrap allows for essential grip under the feet. The thick tail gives more volume and height under the back foot and supports earlier planning and allows to push more against the tail to accelerate and pop. At the front footstrap and mast-track area, we kept a flatter deck to increase the comfort when riding switch or not standing in the straps. The thick rail gives the necessary stability to the compact shape and prevents from sinking too deep after hard power move landings. 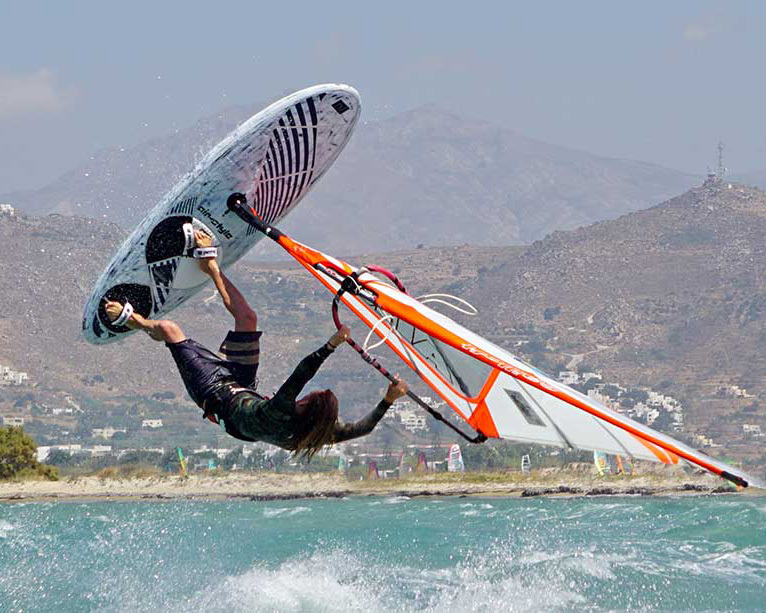 GET – The full deck Carbon/Kevlar with the full biax fiberglass bottom make the ride through rough chop in windy conditions feel smoother and more controlled and hard flat landings are absorbed much more.